Whether you are a beginner or an experienced gardener there is one essential thing that you must get right and that is: preparing your soil. It is essential regardless of what you are intending to plant and the success of you plants will largely depend on how well it is done. You do not need to kit yourself out with any specialised equipment, just a spade or shovel is all that you require if you are going to plant a few shrubs. However if you intend to plant on a larger scale such as a hedge, heavier duty tools would be more practical and better suited. Think about renting the tools rather than buying them as it is often cheaper. 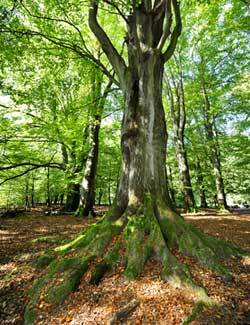 Regardless of the tree or shrub that you plant, its development is closely linked to its roots. It is thanks to its roots that it feeds itself, and therefore its growth and vigour are largely dependent on how well its roots develop. Roots develop best in light well aerated soil. A root that is placed in air that is saturated with water will develop perfectly well. Unlike a root that is plunged into water which would waste away due to a lack of air. Our aim is to get this right balance between air and water, which is essential for root development; this is achieved through correct soil preparation. All the advice for soil preparation and planting are guided by this principle. The amount of soil that needs to be turned must not be overlooked. For young balled plants or bare rooted plants, try to work the soil for 40cm around the plant and 40cm deep. For older plants with larger root balls the amount of soil to be worked over is obviously larger and proportional to the size of the root ball. Be careful, if your land has areas that are badly drained: try levelling it, put a drain in or in the affected areas only plant species that like these conditions. Should you add composts ? Compost is naturally acidic and is suitable for all plants except truffle favouring plants. 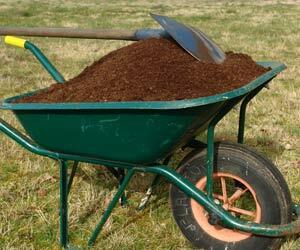 Quality compost should include peat, drainage elements such as bark chippings and nutrients in the form of manure. Simply by adding compost to your soil you will aerate it and improve the rooting and growth of your shrubs and trees. This will be even more the case if your soil is clay, sand or very compacted. If you can get hold of manure or have lots of grass cuttings this would also be very beneficial. Mix them in lightly with the soil and leave it for several months before planting. However never add sand to your soil as this will only serve to asphyxiate it even more.